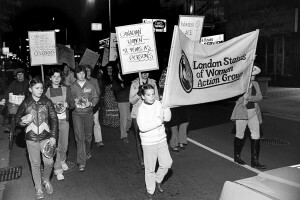 Take Back the Night March 1980. You can see the banner for LSWAG (The London Status of Women Action Group) this organization no longer exists. 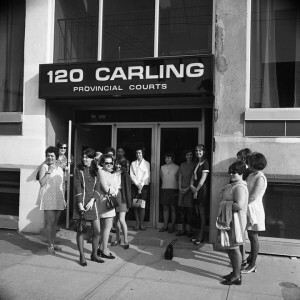 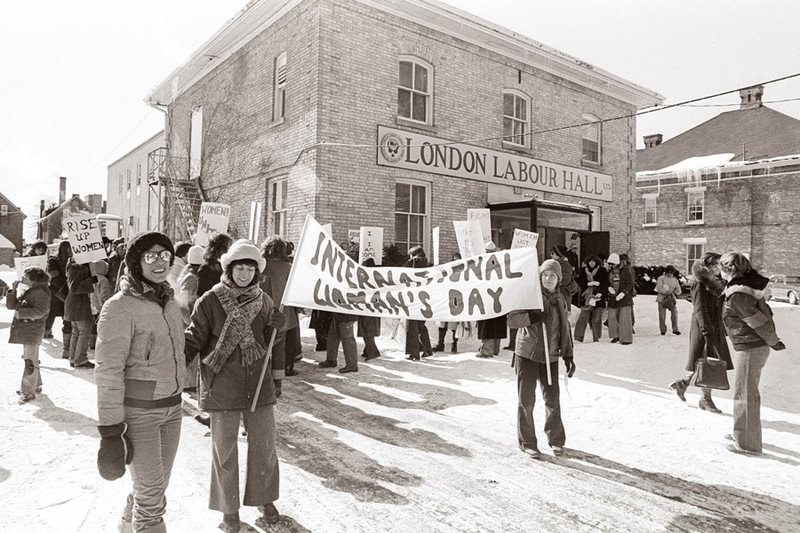 Protesting outside the provincial court building, 1970.